Many programmers have heard of the phrase yak shaving. In real life, do yaks literally get shaved? Whatever you call it, removing the hair from a yak can be hazardous to your health! Mongolian yak live at high altitudes and endure harsh winter conditions. This means they produce a robust and unique wool that can be as soft as cashmere, warmer than merino wool, odour-resistant, breathable and less prone to pilling and fluffing than other woollen fibres. This precious wool can be sourced only by hand-combing each yak individually, once a year, when the yak shed their winter coats. Do yaks literally get shaved, especially if living in their normal environment? Yak. This strong fiber comes from the domestic ox found in the mountains of Tibet and Central Asia. 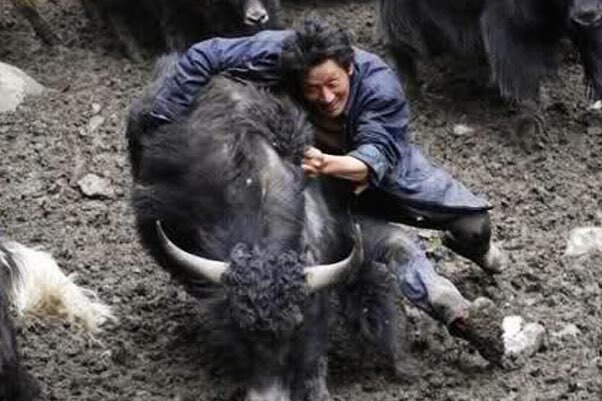 Yak hair is shaved and processed and used alone or blended with human hair. The word "shearing" is more applicable than "shaving". 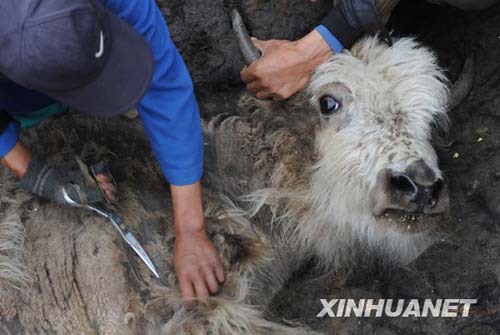 Shearing yak hair must be done every year before summer so that the dog days will not be unbearable for the yaks. It is an important event for the local tibetans in Qiaoqi Tibetan Autonomous Township, Baoxing County, Sichuan Province. There is even an official US Library of Congress subject heading for Yak Shearing. Not the answer you're looking for? Browse other questions tagged zoology agriculture clothing . Is shaving Siberian Huskies harmful?